Sauteed Breast of Chicken, New York Steak with Bernaise Sauce, Seafood Stuffed Walleye: this is a decidedly different mix along the trail. Dining on Minnesota’s Gunflint Trail is filled with its share of s’mores and shore lunches, to be sure. But come dinner time, we lay out our finest in four courses, each with regionally grown, naturally raised, wild-caught ingredients. 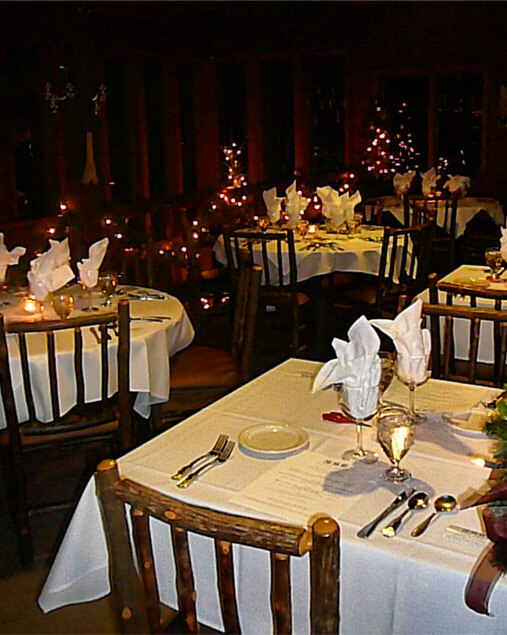 Or join us for simpler lodge fare: family-friendly pasta night; a take and bake hand made pizza; hot soup or chili to warm a cool afternoon; a steaming mug of rich hot chocolate with cookies; or a simple glass of wine or beer by the fireplace. Fine dining available on select nights during winter season. Check here for the current dining schedule and information about our winter guest Chef.